I have a very small connection to GHWB. My Great Uncle – Frank H. Lockyear – was named the 118th Point of light for his efforts at reforestation worldwide. Frank was very proud of this award! It was worth a listen but I did miss the guys. I guess they are having fun on the ship. 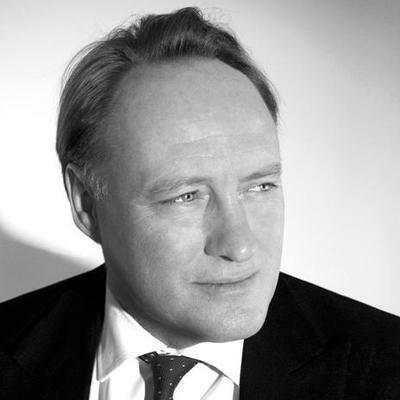 Thank your for the wonderful interview of Andrew Roberts and the recommendation to buy his book on Churchill. I shall order it for my Kindle app on the IPad as I love reading about Churchill. Change is good. And you’ll be missing out on some fantastic GHWB and Churchill anecdotes. I can never relate to any of the complaining around this place. RIP George H. W. Bush, the last POTUS whose name truly belongs on a USN aircraft carrier. So, start naming them after non-political things, now. And CVN-77 cost a fraction of the $billions given to Iran by Obama. Your loss. Good podcast. Very insightful thoughts on President G H W Bush. I think that’s a mistake. James and Rob are great but Mr. Robinson is a commodity. It’s easy to miss how often he sets up his co-hosts and guests to articulate their best insights. The answers fall flat when nobody asks the question. Good podcast. Worth your time, as usual. I have mixed feelings on the Weekly Standard. I used to engage with them a fair bit, and I both emailed and got responses from many of the editors including Jay Cost, and ended up buying a couple of Jay’s books as a result. But as soon as they put themselves behind the paywall and stopped sending out there regular Weekly newsletter I just stopped reading them. Thats not including there anti trump stance. I would love to see a publisher pick them up and put them to better work though. Also there insistence on first class mail shipping, always put them out of my price range here in Canada. Kristol and Sykes are ridiculous. I really think a lot of those guys like that like big government in reality, and they don’t give a damn about cultural Marxism. I love the description of GHWB as a President from the 19th century, when Presidents weren’t so political. The observation that the President was to administer the government. Also the mention of GHWB’s writing style. The man was genuine. That he was closer to a model of the Founder’s vision of what a President should do, and be. And the Providence of the Presidency being in the hands of someone who could carefully navigate the conclusion of the Cold War. President Bush’s life experience made him for that moment. May G-d bless us more. John Sununu was very good about 41 on the Howie Carr show last week. I forget what day it was, Tuesday maybe. Howie even said so the next day. It was a unique explanation of what a tight spot he was in politically, but did the right things for the country, regardless. I was talking to our old friend @claire about whats happening in France. She gave me a lot of information on the French police forces. Long story short, it looks like decades of shrinking the security forces and a new type of insurgency with the Yellow Jackets, led to the chaos we are witnessing. The French had 5000 cops they could deploy as riot police. That was it. They just no longer have the manpower to deploy to reinforce that. I like to imagine the young Sykes sending resumes to The Progressive and Mother Jones and The New Republic – and The Weekly Standard. When the Standard was the only one that responded, he made an honest effort to emulate a conservative! Just to be fair, Trump isn’t ideologically conservative, but those guys sound like lunatics when you can easily criticize Trump without doing that. Plus the GOP has a really terrible track record anyway with wars and spending. Trump is doing okay. I am amazed and delighted at the choice for this week’s musical outro. I thought I was the only one dwelling in the tiny sliver of the Venn diagram of right-leaning Lou Reed aficionados. I think of Donald Trump as a conservative Democrat — rather like JFK, politically speaking, though JFK’s private life was, of course, much, much sleazier. As the Democratic Party becomes more and more anti-American, the Republicans need to become a big tent for patriots of all political stripes. Some conservative purists would rather let the progressives win, than compromise on issues like international trade. All the GOP had to do was seize the moment to wipe out the ACA, and come up with a more honest way to universalize it. That would be 100% success. I like how he’s screwing with the media and giving people the confidence to stand up to cultural Marxism and Alinsky tactics. I like to take a walk on the the wild side every now and then. I wish. He doesn’t care at all about it. Just visit any government agency and you will see that cultural Marxism is alive and well with meetings being conducted on the proper pronoun you MUST use. It is full steam ahead. You know what? Me either. Samuel Block is my new best friend. That may be, but it sounds like “admission against interest” (maybe I listen to Hugh Hewitt too much) because it suggests that Peter is actually worth listening to when James and/or Rob are there to be set up. A TV show – or podcast? – basically about “the straight man” or “second banana” or what-have-you, is not known to be a successful formula. Ask McLean “Hello Larry” Stevenson, for one example. Bottom line, though, is I only came to Ricochet because of James. Rob can do well at times too, but if James ever leaves, I’m gone too. Yep Barney Miller didnt have 7 seasons because it was about the straight man. Guys, they were on a boat in the middle of the Caribbean. It’s one show out of 50 or so a year. Maybe next year we’ll just run a repeat. Like Barney Miller used to do. I don’t know about Barney Miller – I only first arrived in 1991. But as I understand it, people used to go all the way to the theatre to see Cary Grant play Cary Grant. Oh well. I’ll be happy to have James and Rob back too. I don’t think that gives Barney Miller (Hal Linden) enough credit. I’d say Barney was more of a contributor to the whole shebang, than Peter usually is. The obvious(ly racist) next step is that John Yoo is Yemana. But if EJ Hill can turn John Yoo into Sulu, then I feel safe. So then, who is Wojciehowicz? Steven F. Hayward is an author, political commentator, and policy scholar.